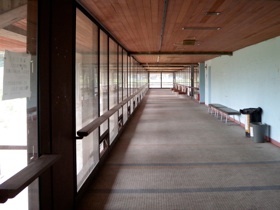 The campus buildings of the University, which is also called Aichi-Geidai, were built from 1965 to 1974. 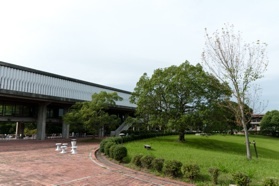 It was the first fine arts school founded in Aichi Prefecture. Junzo Yoshimura ( and his associates at Tokyo University of Fine Arts where he was a professor ) designed the group of buildings after discussions with the then Governor of Aichi Prefecture and the chancellor of Tokyo University of Fine Arts. The design incorporates their ideas about art and music education. 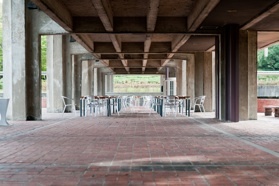 All the buildings on campus were laid out respecting the school's educational concept but also to least disturb the ground's contours to save its natural environment. 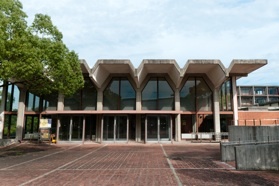 The campus buildings are considered a major work of Junzo Yoshimura and therefore they are important examples of modern Japanese architecture. They have been recognized by DoCoMoMo Japan. After long neglect the campus badly needs refurbishing. However the present school administration does not value the buildings nor their environment where very rare and important endangered plants and small animals abound. They plan to construct a very large music building on an ecologically problematic site. Despite a lot of public protest they have already begun demolishing some buildings. The proposed new building is to be the first in their big campus renewal plan. 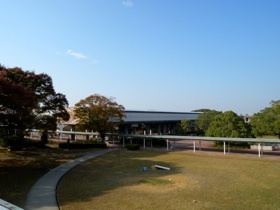 They submitted this plan to the Aichi Prefecture in March 2008 and later in April 2009 a scale model was found on display in the school's administrative building. Thus we learned about the new renovation plan. 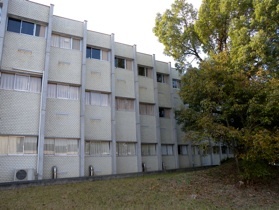 Now both the Aichi Government and the school deny its existence. Representing the Junzo Yoshimura Memorial Gallery, a small organization to show his work and philosophy in Tokyo, I submitted a petition with more than 6000 signatures along with petition letters in February to the governor of Aichi Prefecture who oversees the administration of the school. Some newspapers have printed articles about the dubious and secretive procedure the school had been taking for the renovation of the campus. 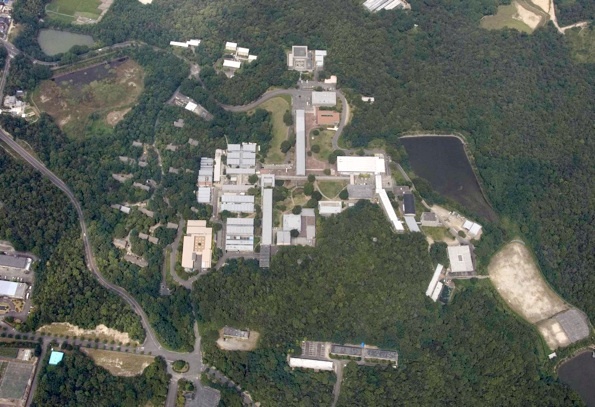 When the campus renewal plan was revealed publicly, about two years ago, the layout of the campus was so drastically changed that the present campus was hardly recognizable any more. Many people were shocked and voiced their protests. We then asked for petition signatures and many people responded.Then the renovation plan and the scale model were withdrawn from the public eye and the Aichi Prefecture would not admit the plan's existence up till now. (1908 – 1997) He was born in Honjo Midori-cho, Tokyo. He graduated from the Department of Architecture at the Tokyo School of Art in 1931 and joined the architectural planning office of Antonin Raymond, where he worked until establishing his own office in Tokyo in 1941. He began to teach at the Tokyo School of Art in 1945, becoming a full professor there in 1962. Yoshimura’s innovative design approach is clearly demonstrated in his residential projects: their unusual qualities of calmness and harmony are best explained by his primary concern for the needs of the people who would live in them. He used traditional materials and techniques and created intimate spaces with low ceilings. His design philosophy was expressed by his stated satisfaction at seeing that his buildings offered users a comfortable lifestyle.